Everyone needs a helping hand from time to time. 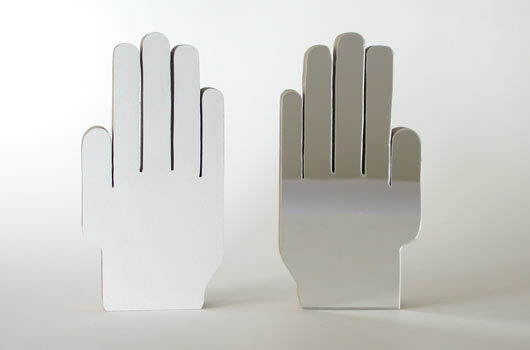 Made from hand cut timber ply with mirrored perspex on one side and white laminex on the other, all that's left for you to do is work out which side is the back of your hand. Tell someone that they're your right hand man, also available in left hands for people you find less indispensable.